Extend the world of “METAL GEAR SOLID V: GROUND ZEROES” (PlayStation 3, PlayStation 4, Xbox 360*, Xbox One) into the palm of your hands. * Note: Some Xbox 360 features require the use of Microsoft’s “Smart Glass” application. Refer to the Xbox 360 homeplage for details. Certain features within this application require a local WiFi connection. 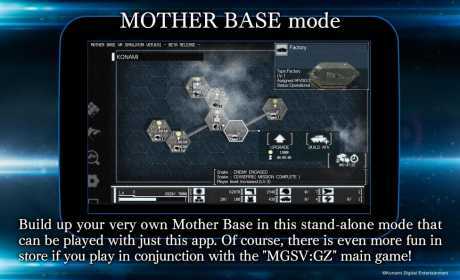 Use this app as a support terminal to display maps, call support helicopters while playing the console version of METAL GEAR SOLID V: GROUND ZEROES. While away from the main game, brush up on intel by reviewing classified recordings or listen to music tracks featuired within the game. 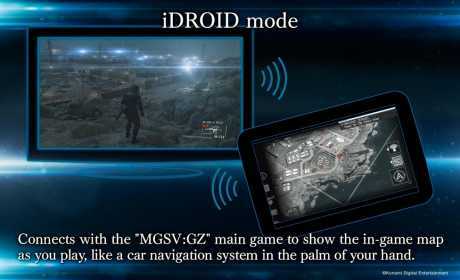 Linking your app to the main game allows yo to navigate the world of Ground Zeroes by using the iDROID as a navigational system and support terminal for calling support helicopters. * This mode requires a WiFi environment to connectt to your game system. For more information, please refer to the “HOW TO CONNECT” menu within the app. Expand Mother Base, build a private army, and dispatch troops to battlefields around the globe. Manage your forces and build your military might in this military base building simulation. 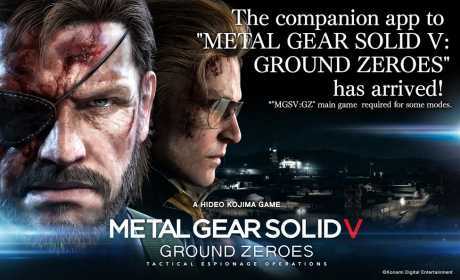 Play as a stand-alone app, or sync with with MGSV: GROUND ZEROES to unlock special troops and weapons obtained from within the main game! Once you’ve heard an audio track within the main game with iDROID Mode, you can use this app to play back those tracks at anytime with your smart device. Use the DATA PORTAL to get all of the latest info on MGSV:GZ.